i-Sport is an interactive and functional training platform combining all the tools needed for supporting a 100% committment to training. 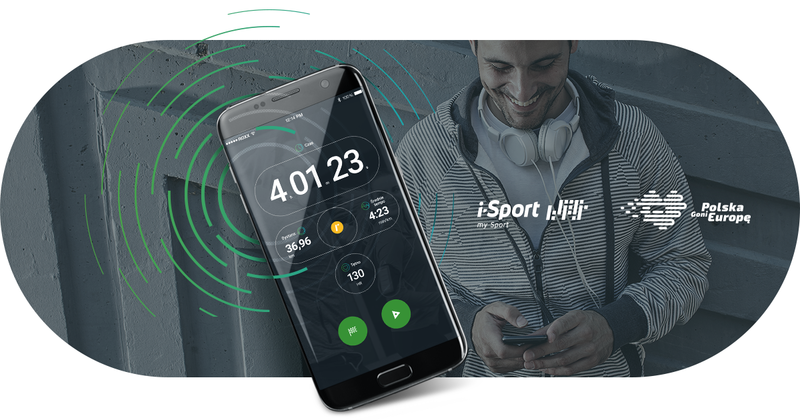 The application is available for tablet, phone and Web browser and it covers five popular sports: running, cycling, fitness, swimming and the option for the most versatile users: triathlon. The owner and originator of the project contacted us in the early stages of creating i-Sport. After a thorough analysis of the industry and the expectations of our client, we designed a comprehensive visual identification of the product, as well as branding for the partner social project “Polska Goni Europę” (“Poland Is Catching Up With Europe”). The logo concept for i-Sport is based on a combination of five pictograms representing each of the five sports in one colourful symbol. We coded all sports in this way: cycling, running, fitness, triathlon and swimming. Each of them has its own mini-symbol and an assigned colour. All components make up the complete product. “Polska Goni Europe” is a CSR campaign aiming to promote and increase physical activity among Poles. In building PGE branding we used a universal symbol of the heart, resembling a simplified shape of Poland. Our team was responsible for the full information architecture, platform functionality, and interactive and clickable functional mock ups Axure. 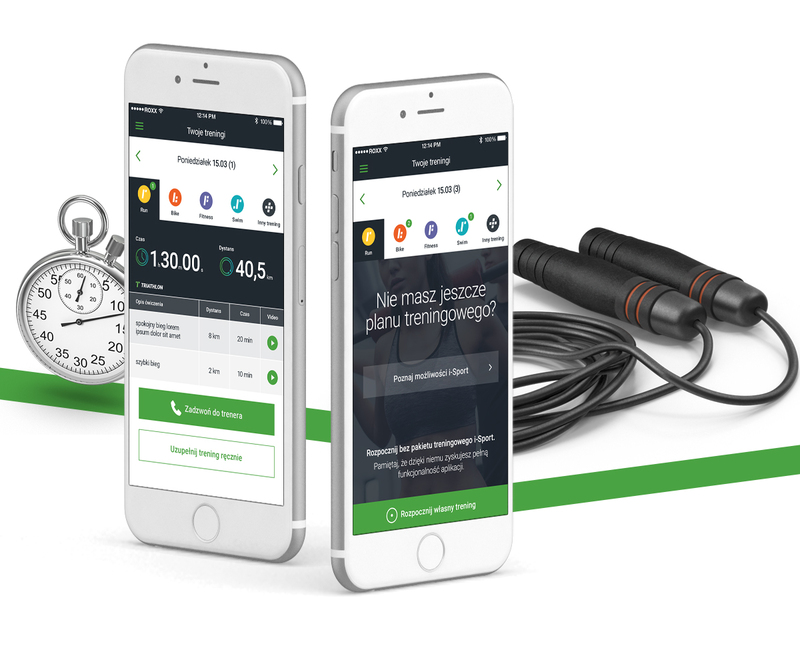 We have also developed a usability design for the web version of i-Sport, as well as native mobile application for iOS and Android. 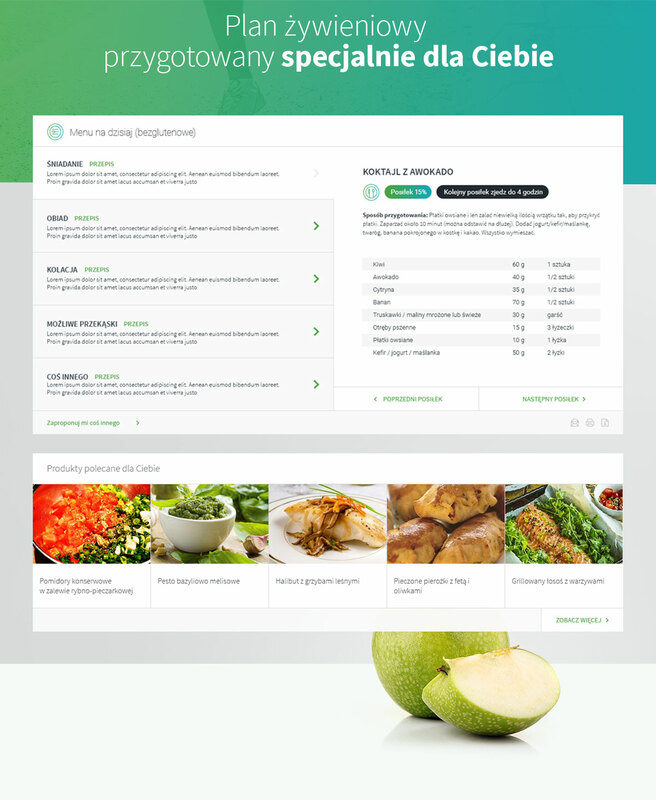 The key functionalities of the software include training plans tailored to the user’s current physical condition and the next training goal, advanced training calendar, customised diet with a menu for every day and a shopping list, statistics and a centre for communication with the coach. 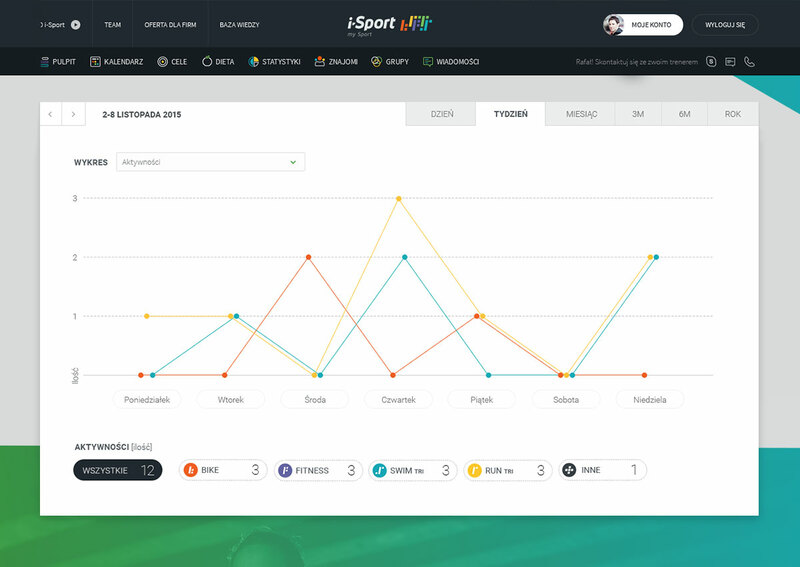 Our agency was fully responsible for the graphic creation of the web version of the i-Sport platform as well as the interface for the mobile applications. In the second stage of the project, we took care of the functional side and the graphics of the “Polska Goni Europę” website. Continuous cooperation with i-Sport meant that we became a member of the team, so we were entrusted with ongoing creative and marketing support for the product. 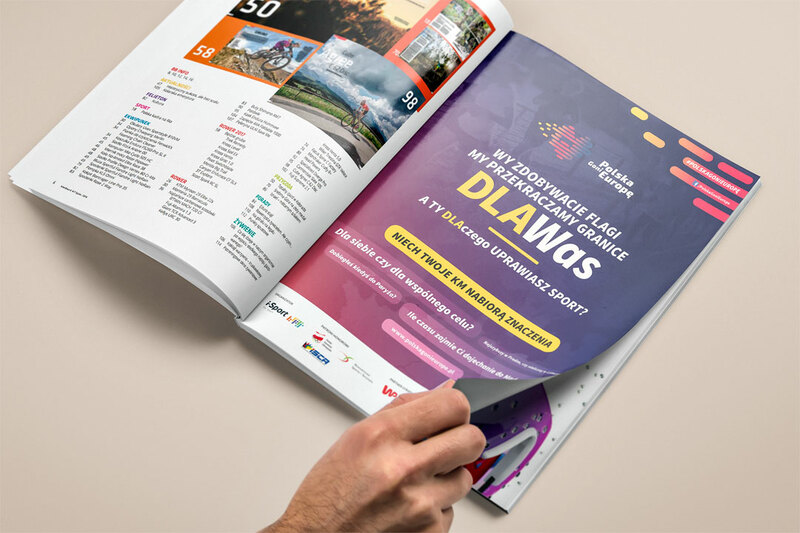 We are regularly engaged in the preparation of promotional materials, implementation of branding for new media, the development of functionality and design consultations.